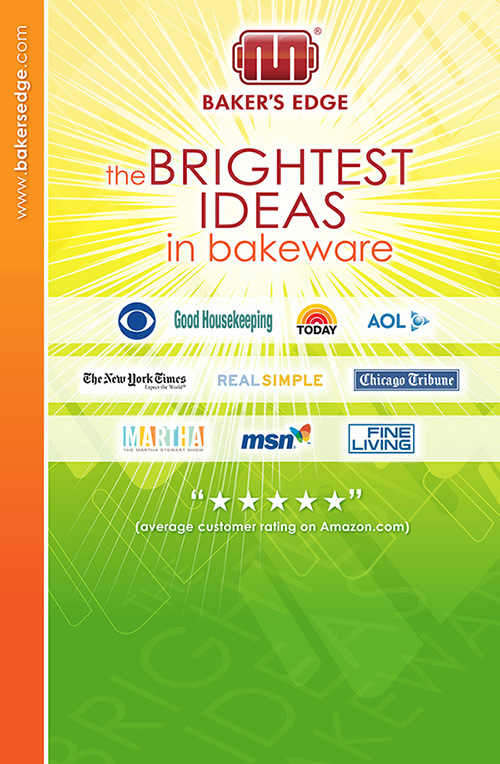 Here’s how we visually reinforced our client’s “brightest ideas” theme for one of the biggest bakeware trade shows in the country. 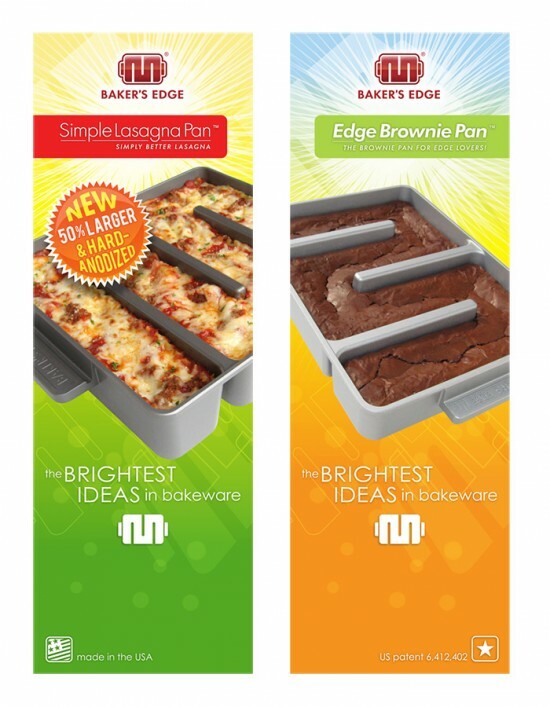 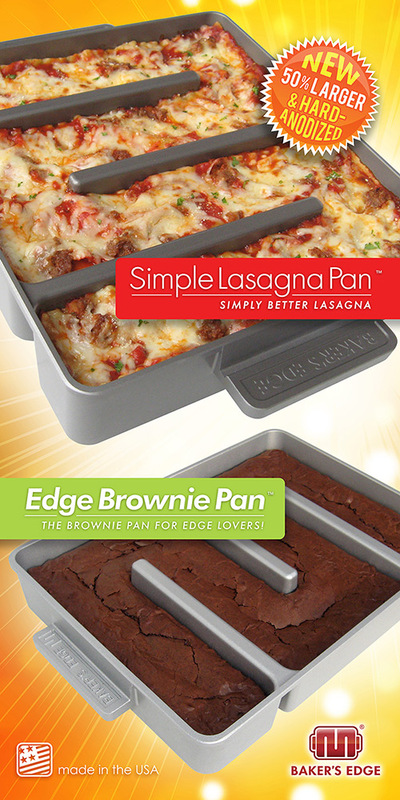 Back when this design was used, Baker’s Edge was introducing their Simple Lasagna Pan after already being well established for their Edge Brownie Pan. 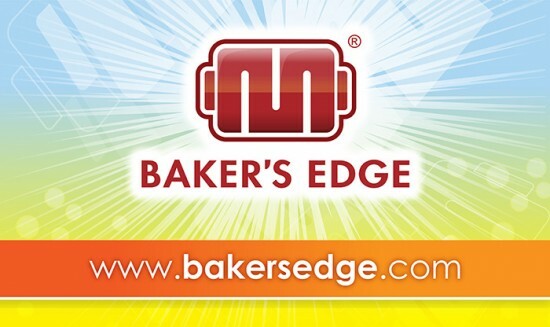 Along with the bright lights shining on the graphics, this booth really stood out in the crowd.